Recruiting Update: Hawaii to be Re-Named Orewaii? 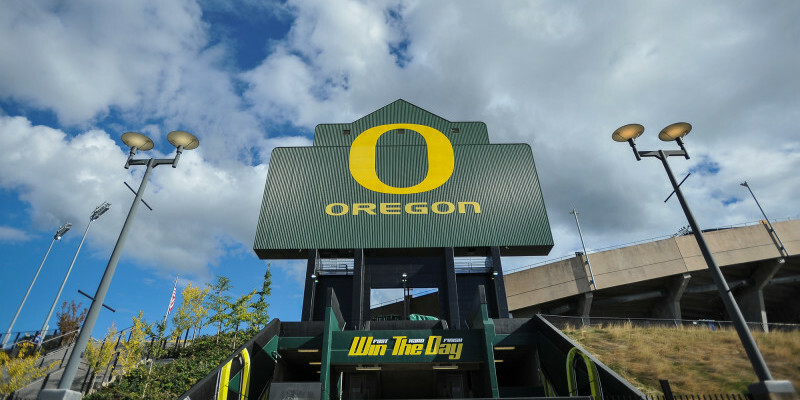 Oregon’s gridiron brass are taking a page from their hardwood compatriots in the scrutiny of JUCO transfer targets. Wide receivers’ coach Matt Lubick, as well as former Oregon quarterback Nate Costa, are hot on the trail of junior college route-runner Riley Smith (2-Star/Ventura, CA). Smith, at 5’11, 185 lbs., was an enigma coming out of the prep ranks — with obvious athletic talent, yet not a defined position at the D-1 level. Now entering his final phase of junior college, Riley will have two years of eligibility and will enroll early to get a jump on his chosen system. The recipient of a recent Oregon offer, island-based athlete Vavae Malepeai (3-Star/Mililani, HI) is almost a lock to end up in Eugene. A lean 6’0, 190 lbs., Malepeai is a lean, sure-tackling force at the second level who doubles as a running back on offense. Oregon will host Malepeai sometime this fall for an official visit and can expect a commitment soon thereafter — stay tuned!